Learn step-by-step lesson planning strategies using the UDL principles and guidelines, ways to evaluate curriculum and tools and resources for flexible instructional tools, including new technologies. As Senior Innovation Scientist, Bob applies his expertise in neuroscience, learning science, assessment, instructional design, UX design, and programming to the challenge of providing students with flexible and effective learning opportunities and teachers with the resources and supports to make this happen. CAST responds to a request by the Partnership for Assessment of Readiness for College and Careers (PARCC) for comments on its draft PARCC Accommodations Manual for the organization’s large-scale assessment. In this statement, CAST points out five areas where the assessments could be improved to make them more accessible and effective for learners, especially those with disabilities. CAST through the years: One mission, many innovations. A look at CAST's history and accomplishments from 1984 through today. 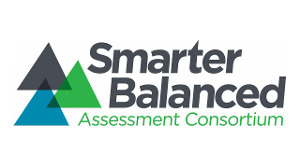 CAST responds to the Smarter Balanced Assessment Consortium’s request for public comment about its Accessibility and Accommodations Guidelines.